SMS marketing is the hottest way to promote your business and draw more attention towards it. SMS marketing is popular because it is simple, easy and quick for everyone, including the business and the customer. Movie theaters have recently begun using text marketing for their brand building efforts, and most are saying that it has certainly done wonders for the number of customers that are now filling their theater seats. Consumers opt-in to receive offers, thus eliminating sending offers to those who are not interested. This also saves money and frustration and ensures that you are reaching those who are truly interested in what you have to say to them. They prefer mobile coupons and communication with businesses it is more personal, according to many, and this is exactly what the mobile marketing technique aims to do. Movie theaters can use SMS marketing in a number of ways. Most will combine several techniques to get the best results. 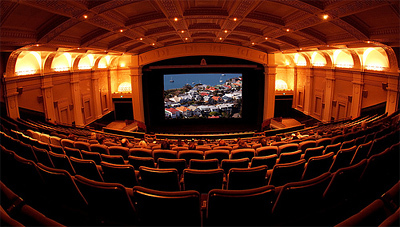 Here are 5 ways to use text marketing and ensure that your movie theater is thriving. Everyone loves to see the latest movie releases and if they have a coupon chances are you can count on them being in the crowd. The problem is, many people who like to go to the theater to catch a movie don’t want to bring a coupon with them. Text marketing remedies that woe since the coupon is sent to the mobile decide of the subscriber. There are so many types of coupons that can be offered to the consumer. Keep a variety of offers in rotation. Some ideas: offer a coupon for $3 off admission during your slow periods; offer a coupon for free popcorn when they bring a friend or even a coupon for a free admission with a group of people. Customers who sign up to receive text messages from your theater want good deals but they also want information. Using this platform to send noticed of new releases special offers and extras is very beneficial. You can provide customers with need-to-know information at their fingertips and without any effort applied, so this is an excellent way to use text marketing. If there’s a movie that is not expected to do as well as others, drive people into the theater with a coupon for a free movie ticket. Since most people bring a friend to the theater with them this is doubly beneficial for everyone involved. Make the offer available only with SMS marketing opt-in, of course. Even movie theaters can have contests and peaks the curiosity of movie goers far and near. Give away a move related item or even a gift card or certificate for the movie. Add several prizes to the mix for even more excitement to the game. Of course you want entries to come by way of SMS marketing, so don’t leave this out of your efforts. If your theater is one that has special movie events sending notification by text marketing is a good way to ensure a large crowd come show time. You can also use this same method to advertise show times and prices, particularly when a much anticipated movie is about to be released. Movie theater owners will find the 5 above methods of using SMS marketing to benefit them greatly, and there is certainly far more than what has been listed here. The key to being successful with SMS marketing is to give the customers what they want. They want a good deal, personalized communication and to have some fun while they are there. With these ingredients you can mix up a great campaign worth the effort.